…and that’s when I realized that diversity should mean the inclusion of everyone without fear from ridicule… and I’ve known this answer all along. It was posted in my classroom when I taught high school students, and it’s been my pain point whenever I go somewhere unfamiliar. 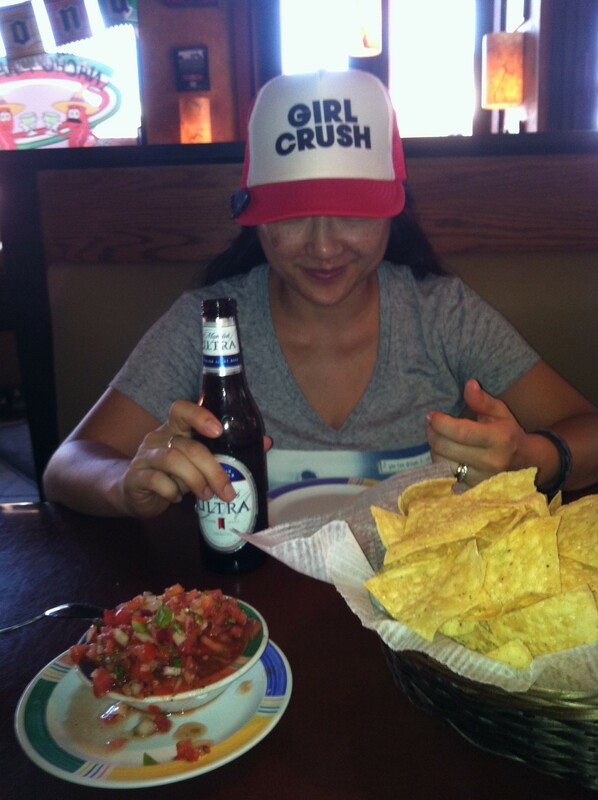 Here’s the pic of a middle-aged Asian woman wearing a Girl Crush hat supporting country music group Little Big Town while drinking an American beer with her Eastern European Ph.D. husband in a Mexican restaurant located on an island in Florida. My hubby’s right. It doesn’t get any more inclusive than that. As always, thanks for finding me. Thanks for stopping by. I’d love to hear what diversity means to you!